Mobyvent is designed to offer children who are long term ventilated a chance for mobility indoors on a smooth floor. Mobyvent can carry an oxygen cylinder*, ventilator* or compressor* and is designed to clip on to the base frame of a range of Jenx seating and standing systems so that children can be moved safely from room to room in suitable environments and the connection of tubes is maintained to the child. It features two easy-clean shelves that will carry apparatus securely, comfortable handgrips for pushing along and a holder for an oxygen cylinder. 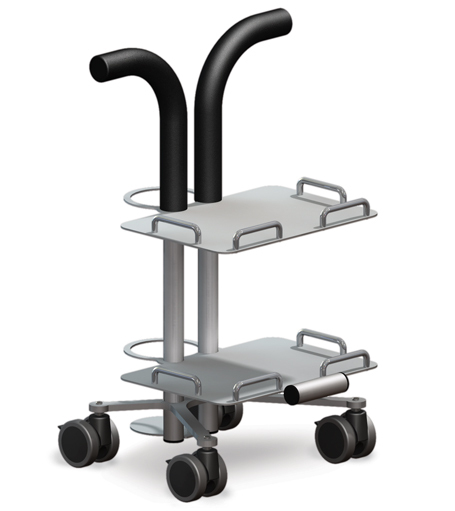 The purpose built holder keeps oxygen safe and steady as you move around. 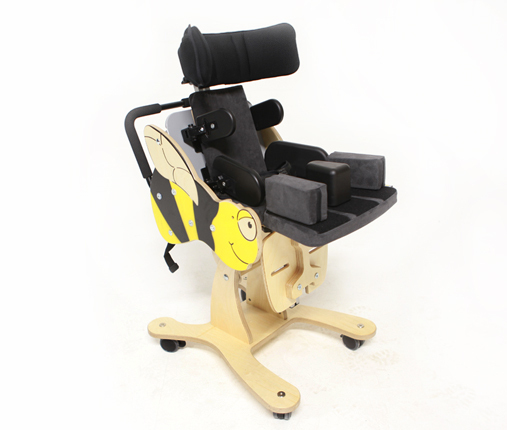 The sturdy clips keep Mobyvent firmly attached to the chair allowing you to concentrate on your child. *Only certain makes and sizes of apparatus are suitable for use with Mobyvent. Please contact Jiraffe for more details about compatibility or refer to the Instructions For Use manual. Fantastic harnesses in a range of sizes to work across the entire range of Jenx seating products. Jenx put the same level of thoughtful design into their small products as their big ones meaning that accessories are great pieces of kit in their own right and really complement the fantastic design features of the main product. Providing firm and gentle trunk support to children with low tone, the Jenx waistcoat harness is easy for carers to use – made to attach, detach and flip away in seconds with a single hand. 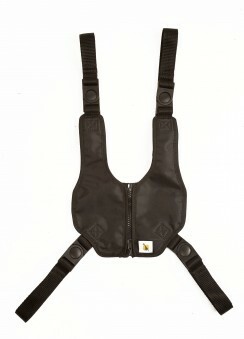 The zip is purposefully installed upside down –allowing access to abdominal feeding sites while maintaining good upper trunk control. A soft fabric surface against the child with a wipe-clean front make the range of Jenx waistcoat harnesses both effective and practical options for positioning support and ideal for use during feeding.